Lakemont in northeastern Georgia: Geologically and ecologically, the northeastern corner of Georgia is the southernmost extension of the Appalachian Mountain regime. Torreya Guardian Jack Johnston began planting this species on his rural mountainous property in 2007. Jack has successfully germinated the species from seed and outplanted potted seedlings purchased from a nursery. On this website you can view a photo-essay of his volunteer (and very successful) effort. ATLANTA BOTANICAL GARDEN: This is one of three botanical gardens officially involved (under the Endangered Species Act) in propagating from cuttings cut in the early 1990s of the remaining individuals of Torreya taxifolia in the historically native (critical) habitat along the Apalachicola River in northern Florida. See a photo-essay of how the Atlanta Botanical propagates Torreya taxifolia. Atlanta Botanical Garden also has plantings at three other sites in Georgia: (1) Smithgall Woods (focused on Georgia genotypes); (2) Vogel State Park; (3) Blairsville Research Station. Access a list of online information by or about Atlanta Botanical Garden's plantings of Torreya in Georgia. 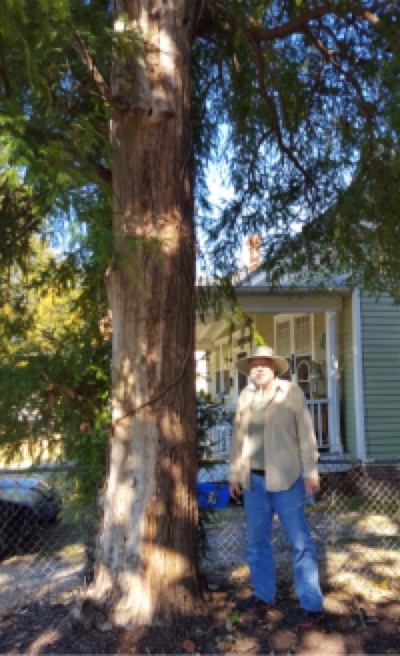 Columbus, GA is on the east bank of a free-flowing section of the Chattahoochee River, and until the first decade of the 21st century, three old torreya trees were still found on residential properties in a historically old neighborhood that bordered the river. As of 2016, only one of the three trees still stands (pictured left with Torreya Guardian Jack Johnston). Its top is dead and a huge section of lower bark has been stripped away on the street-side of the tree. Very little information is available on this stand of trees. So questions remain: Were they planted from nursery stock, or were they originals that the old homes were built near? If the latter, had there also been wild specimens along this section of river, but the remaining trees were felled for their valuable wood before anyone recorded their presence here? These questions are crucial, because the Chattahoochee River would have been the key conduit for southward displacement of the tree from the s. Appalachians during peak glacial times of the Pleistocene. Visit a webpage, which includes info, photos, and video of this oldest tree. Nearly Native Nursery, located near Atlanta, has potted seedlings of Torreya taxifolia for sale. This was the source of 2008 Torreya Guardians plantings in Waynesville and Junaluska NC. Ancestry derives from seeds or rooted branchlets from the once-champion (now deceased) ancient Torreya in Norlina NC. To comply with the Endangered Species Act, purchasers must go to the nursery to buy seedlings; then you can drive across state lines legally with the seedlings. The ESA law simply dis-allows "sales" in interstate commerce. 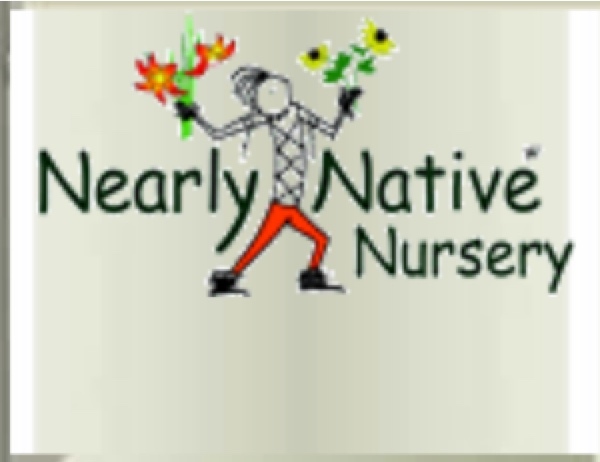 We Torreya Guardians operate strictly by gifting; but nurseries need to stay in business. Learn more about how commercial nurseries assist endangered plants. • Coastal Plain Research Arboretum/UGA / Tifton, GA: Contacted (by Paul Camire 2018) but no information provided after initial response. Number/age/health/seed shadow unknown. • Jones Ecological Research Center / Ichauway, GA: Unknown number of Torreya. One small plant photographed on a blog site. 3988 Jones Center Drive, Newton, GA. This location has a focus on longleaf pine. Only open to public once every other year. • Peek Park / Cedartown, GA: October 2017 article shows ABG plans on having torreya planted at the park. Billy Grant is Cedartown resident shown in the article. N. College Street, Cedartown, GA. Ages of plants/numbers planted are unknown.